Because of its size, everyone in your family will find places to lose some green. re like my chocolate munching children, Godiva of special interest. The traditional mall in Bangor is appropriately called the Bangor Mall. 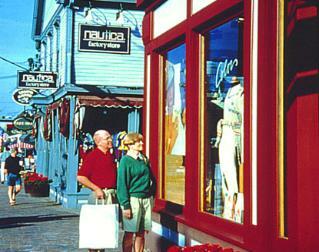 Another shopping experience can be found in towns that specialize in shopping. Yes, you heard me correctly, entire towns dedicated to fine art of shopping. at Edgecomb Potters there is a store for you. kids to play while you enjoy adult conversation on the deck. tourist isn’t a bad thing. Get Your FREE Weekly Newsletter Today!